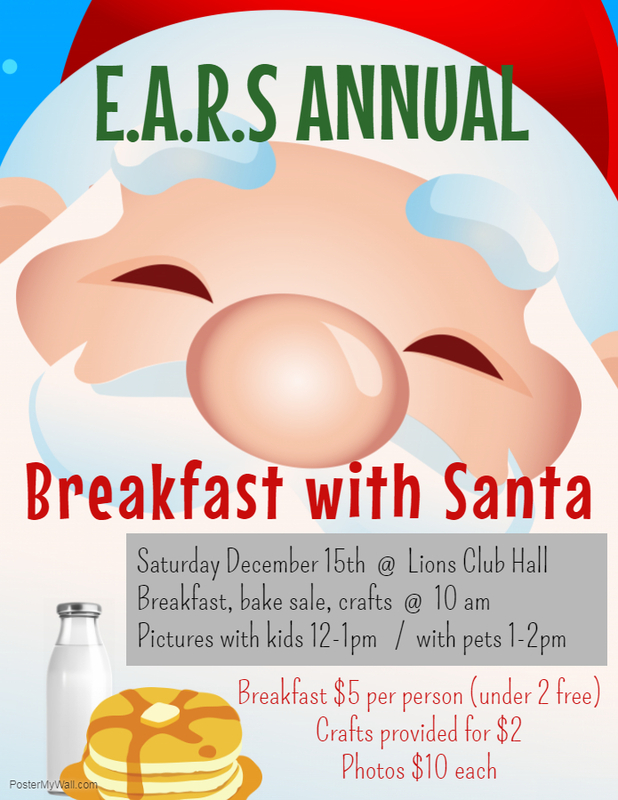 The EARS crew and critters have been nothing but nice this year, so Santa is coming back for pancakes and photos! Come celebrate the season with us on Saturday December 15th! Breakfast, bake sale, and crafts starting at 10 AM. Santa pictures with kids from 12 – 1 pm. Santa pictures with pets from 1 – 2 pm.